What is the best legal form for fractional or shared ownership? How can one determine if an owners association exists (or should exist)? What is the best legal form for a fractional or shared ownership? When and how must the fractional owners association register and file forms with governmental agencies? What tax returns should a fractional ownership association file and what taxes must it pay? When should a fractional owners association have its first owner meeting, and what should it do during that meeting? How does a fractional ownership association call and conduct an owner meeting? How does a fractional owners association governing board call and conduct a board meeting? How should fractional owners create a budget and collect owner dues and assessments? What records should fractional owners association keep and what reports should it make to the owners? How can a fractional owners association fine and discipline owners and otherwise enforce its rules? The answers to these questions are designed to aid shared ownership groups regardless of where their shared property may be located, regardless of the legal structure of their co-ownership, and regardless of the level of formality with which they are organized. People who own property with others on what they consider to be a relatively informal basis often wonder whether they have an owners association, and/or whether they should create one. As a practical matter, whenever there are two or more owners, an association exists on some level, and the co-owners face the issues inherent in any shared venture, including usage of the shared property, contracting with others for services and goods, paying bills, taxation, keeping owners informed, and making and implementing decisions. So even when an owners association does not exist as a separate legal entity (apart from the co-owners themselves), the owners need to function as if it did, and ignoring this need often leads to significant problems for even the smallest and least formal groups (such as those involving close friends and family members). Moreover, the absence of a formal association legal structure does not necessarily mean that the co-owner group escapes the filing and taxation requirements that apply to an owners association. The question of whether a co-owner group should create a company, trust, or other independent legal identity depends on its size and function, and on the customs of the country or state where the property is located. The larger the group, the greater the need for an association with a formal legal identity. Smaller groups will also benefit from having a formal legal identity where the things it needs to do, such as paying bills, obtaining insurance or electricity, and contracting for repairs, can be accomplished more easily in light of local business practices and predispositions. Note also that the question of whether co-owners should have a formal legal identity needs to be addressed even where title to the co-owned property is held in the names of the owners. A fractional owner group with deeded ownership can create an independent legal identity for its owners association without giving the association ownership of the shared property. Note that, contrary to common misconception, obtaining a tax identification number and/or a fictitious business name does not turn a shared ownership group into a formal legal entity. In most places, a co-ownership group or association that wishes to create a formal legal identity will have a choice of possible legal forms including various types of business entities (such as corporations, limited liability companies, and partnerships), trusts, and unincorporated associations, many of which can be further categorized as either “for profit” or “not for profit”. The choice of entity type is driven by three factors: (i) the cost and burden of creating and maintaining the entity; (ii) the tax consequences of having the entity; and (iii) the extent to which the entity will protect the co-owners from legal liabilities, and the need for such protections in light of the location and use of the co-owned property. Take care not to overestimate the importance of liability protection. Insurance will provide the most complete and cost-effective liability protection for many owner associations. In instances where the co-owners will not be engaged in a joint business venture, such as sharing rental income from the property, a nonprofit structure is generally best, and nonprofit status is easiest to obtain for a corporation or an unincorporated association. Where a joint business venture is involved, a limited liability company generally offers the best balance of formation/annual cost, operational formality, flexible tax treatment, and liability protection. Most entity types can be created even years after the co-owned property was obtained, and can be changed from one type to another relatively easily; however, it is generally important to select and obtain nonprofit status during the first year of operation. Although fractional owners association registration and filing requirements vary from place to place, the following generalized list includes the steps that are required in most places. Establishing Authority: When a shared ownership group files articles of incorporation or an analogous formation document with a governmental agency, it establishes who can accept legal papers on its behalf and who has the authority to sign checks and contracts. This happens automatically because the information is contained in the required filing or specified by applicable law. But when co-owners do not create a formal legal entity, it is often unclear who is authorized to act on their behalf, and this lack of clear authority can sometimes discourage vendors and other service providers from working with the group. Many places allow an unincorporated and other informal owners association to file or record forms that establish who is authorized to act on its behalf, and this type of filing should be considered for properties in locations where contracting for necessary services would otherwise be difficult or impossible. Obtaining A Tax ID: A tax identification number (known as an “Employer Identification Number” or “EIN” in the U.S.) is a number that identifies the association for tax purposes. To get an Employer Identification Number in the U.S., an owner or manager simply asks the internal revenue service to issue one. The request can be made online, in which case the number is issued instantaneously. In most places including the U.S., a tax ID is required only if the fractional owners association files documents creating a formal legal identity. But even where a tax ID is optional, the shared ownership group should weigh the benefits of getting one against the burdens of having one. On one hand, the tax ID will generally make it possible to open a bank account without using the tax ID of the owner or manager. On the other hand, it may force the fractional owners to file tax exemption requests and tax returns that they would not otherwise need to file (see discussion below). The decision of whether to obtain a tax ID should be made following consultation with a qualified tax professional. Where the property is located in a different state or country from the owners, it is best to consult with someone who is an expert in the tax law of both places. Establishing Nonprofit Tax Status: In most places including throughout the U.S., a fractional owners association that does not engage in a joint business venture, such as sharing rental income from the property, qualifies as a nonprofit organization that is exempt from all or most income and franchise taxes. But establishing the tax-exempt status of a fractional owners association sometimes requires filing forms or applications. For example, for U.S. federal tax purposes, a fractional owners association establishes its nonprofit tax-exempt status by filing a Form 1120H with the IRS by the 15th day of the third month after the end of each tax year. This is required for an incorporated association, but probably optional for an unincorporated or informal one (the law on this is unclear). If the association has a tax ID, it is best to file the Form 1120H to avoid the risk of penalties. Keep in mind that many countries have more than one level of government authorized to impose tax, and it can sometime be necessary to establish tax-exempt status with multiple agencies. For example, filing the U.S. federal Form 1120H is not sufficient to establish tax-exempt status in California, where many one must also file a Form 3500 with the California Franchise Tax Board. As with the decision to obtain a tax identification number, the decision of whether to file for tax-exempt status should be made following consultation with a qualified tax professional. Where the property is located in a different state or country from the owners, it is best to consult with someone who is an expert in the tax law of both places. Annual Registration: A fractional ownership association may be required to file a statement or report with a governmental agency, either in the place where the property is located, in the place where the fractional owners association is established, or in both places. This requirement is often (but not always) separate and distinct from tax-related filing requirements. A registration requirement may apply even to a very small and informally organized group, such as two people who buy a house together. Whether there is a filing requirement will depend on three factors: (i) the type of legal structure used for the shared ownership; (ii) the law of the state or country where the shared property is located; and (iii) in instances where the legal structure involves an entity (such as a trust or company), the law of the state or country in which the legal entity is created. To determine whether any such filings are required, it is necessary to research applicable law or consult with a qualified attorney. What tax returns should a fractional owner association file and what taxes must it pay? It is important to distinguish between the tax filing and payment obligations of the shared-property owners as a group, and the individual tax filing and payment obligations of each of the fractional owners. Owning property as a group does not, by itself, create an organization with an independent taxpayer identity, and the fractional owner group has no obligation to file a return or pay taxes unless it has filed documents creating a company, trust, or other independent legal identity. But regardless of whether the fractional owners file a return or exemption request as a group, each fractional owner must declare any rental income or sale proceeds on his/her individual returns and, under certain circumstances, may be entitled to deduct certain expenses associated with ownership. At a minimum, each fractional owner must acknowledge rental income and sale proceeds on the returns he/she files in his/her country/state/province of residence; in some cases, the owner may also be required to file additional returns in the location where the share property is located, and/or in the place where a formal fractional owners association has been formed. For additional information regarding the taxation of individual fractional property owners, see the discussions under “Are payments on a fractional ownership vacation home tax deductible?” and “How will I be taxed when the fractional vacation home is sold or I sell my share?” at Fractional Vacation Property FAQs. Even though an unincorporated and informal shared ownership group is generally not required to file returns or pay tax, the way it conducts its affairs can make it seem like a formal organization to tax authorities, and this appearance can trigger a demand by these authorities for a tax return. The most common example of this phenomenon occurs when a group of U.S. owners obtains an Employer Identification Number, and then receives a letter from tax authorities requesting that it file a tax return. Most groups in this situation find that writing a responsive letter explaining the nature of the group and how it operates triggers a withdrawal of the tax return request, but this provides only a temporary reprieve; the group will often receive another tax return request every year. For this reason, many unincorporated and informal shared ownership groups choose to formally establish themselves as taxpaying entities by filing appropriate tax returns or tax exemption requests. In most places, it is not necessary for the group to create a company, trust, or other independent legal identity in order to file these; rather, the fractional owners can obtain a tax ID, and file their returns or exemption requests, as an unincorporated association. But filing can sometimes increase the tax burden on the owners, so it is important to consult with a qualified tax professional before making the decision to file. The question of whether to file a return or exemption request is often answered differently depending on whether the group shares rental income from the property. Note that the issue is not whether the property is rented, but rather how the rental income is handled. It is the sharing or pooling of rent (as opposed to paying it to the owner whose usage period is rented) that potentially changes the tax status of the group. For U.S. taxpayers that own property fractionally in the U.S. or overseas and do not share or pool rent, the simplest and safest course of action is to establish the federal tax-exempt status of the ownership group by filing a Form 1120H as described above. The filing procedure is the same for both informal shared ownership groups and associations with a formal legal identity. U.S. taxpayers who do not share rent should also investigate whether a similar filing is required in the state where the shared property is located (if it is in the U.S.), and in the state where the group has established its U.S. legal identity (if it has a U.S. legal identity). Larger fractional owners associations generally have an elected board of directors that is allowed to make most (but not all) decisions. Having a board allows a larger shared ownership group to operate more efficiently by avoiding the need to convene a meeting of all owners each time a decision is required. The number of directors, qualification of candidates, nomination system, and election procedures, will be described in the bylaws, operating agreement, co-ownership agreement, CC&Rs, or other governing documents of the group. In some places, there are laws relating to some or all of these issues and, depending on the quality and age of the governing documents, they may or may not comply with current legal requirements. As a result, the best practice is to periodically consult a qualified attorney or current reference book to ensure that the group is complying with both its own documents and the applicable law. A treasurer, who creates or supervises budgeting, accounting and financial reporting. In a fractional owners association with a board, the board typically elects the officers. But when there is no board, the owners elect the officer or officers directly. The number and duties of officers, qualification of candidates, nomination system, and election procedures, will be described in the group’s governing documents. Here again, some places have laws relating to some or all of these issues. Making sure the shared property is cleaned and maintained. These tasks can be broken up and assigned to separate people. The responsible person for any particular task can be an owner or a paid manager. The tasks can be rotated. The key is that someone specific is responsible for each task, knows exactly what he/she is expected to do, faces consequences if the job is not done. What does not work over the long term is “we’ll just all pitch in” management. Also note that, in some places, all or some fractional owners associations (often depending on group size) are required to have professional management. The fractional owners should decide whether or not to obtain a tax identification number and whether or not to file a tax return or exemption request. If the owners cannot verify that all association filing and taxation requirements have been satisfied, an owner or manager should be assigned the task of satisfying these requirements (or hiring a professional to do so). Keep in mind that postponing this task can expose the association to monetary penalties. Do not assume that the developer or attorney that created the fractional owners association has complied, or that either will be responsible for penalties resulting for non-compliance. Fractional owners associations should have at least two bank accounts: one for its operating expenses (such as property tax, insurance, shared utilities, and management costs), and a separate one for its repair/replacement reserves. In many places, the law requires that repair/replacement reserve funds be kept in a separate account, and it is wise to do so even if there is no legal requirement. If either or both accounts do not exist at the time of the meeting, an owner or manager should be assigned the task of opening them. The limits of casualty coverage, particularly those relating to replacement costs and building code upgrades. If any of these items cannot be verified at the meeting, an owner or manager should be assigned the task of verifying them. In some places, all or some fractional ownership groups (often depending on group size) are required to have specific insurance coverage, and/or to provide periodic reports to owners regarding association insurance. As discussed below, the most effective way for a shared ownership group to enforce its rules is to consistently impose penalties for rule violations. This approach requires that the fractional owners establish the penalties as soon as possible, before violations begin to occur. A perfect time to do this is at the group’s first meeting. Some important potential violations to consider penalizing are failure to leave the property is good condition, changing the arrangement of furniture, placing or removing items in the property without group approval, and staying beyond the end of a usage period. In some places, the imposition and collection of owner fines and penalties is regulated by law. How does a fractional owners association call and conduct an owner meeting? The extent to which records (or “minutes”) of the meeting must be kept, and how those records must be transmitted to the owners. Ironically, small shared-ownership groups generally have more difficulty than large ones with the meeting and decision-making process. One common source of difficulty is the failure to send each owner proper advance notice of each meeting with a full (and limited) agenda. Small fractional owner groups generally assume this formality is unnecessary, with the result that meetings become difficult to organized and/or are poorly attended. Perhaps more importantly, the lack of proper notice and agenda generally makes the meeting decisions non-binding, meaning that any owner who disagrees can ignore or challenge them. Another common problem for fractional ownership groups is the failure to create particular, concrete proposals on which a yes/no vote can be taken, and to clearly record the resolutions passed at the meeting in a way that can be verified. Each discussion should eventually lead to a motion. Before a vote is taken, the motion should be written down, and passed around or read aloud. These rules may seem ridiculously formal for a group of two or three owners, but in fact they are extremely effective at making owner meetings more productive and minimizing the likelihood of disputes about what was decided. In some places, all or some fractional ownership groups (often depending on group size) are required to follow specific formalities regarding owner meetings. Depending on the quality and age of the governing documents, they may or may not comply with current legal requirements. As a result, the best practice is to periodically consult a qualified attorney or current reference book to ensure that the association is complying with both its own documents and the applicable law. How does a fractional ownership association board of directors call and conduct a board meeting? For fractional ownership associations with a governing board, the governing documents will contain requirements for calling and conducting a board meeting, and these will typically cover the issues listed at the beginning of the preceding section. In general, even though owners not serving on the board cannot vote at board meetings, they are entitled to receive advance notice and an agenda, and are allowed a limited opportunity to speak. Keep in mind that any gathering (including a telephone call) where a majority of directors (which could be only two people where there is a three-person board) discuss group business can be considered a meeting requiring advance notice and participation. Also remember to keep minutes of board meetings and to make them available to owners to the extent required by the governing documents. As with owner meetings, some places have laws relating to some or all of these issues and, depending on the quality and age of the governing documents, they may or may not comply with current legal requirements. As a result, the best practice is to periodically consult a qualified attorney or current reference book to ensure that the owners are complying with both their own documents and the applicable law. In some places, all or some fractional ownership groups (often depending on group size) are subject to legal requirements relating to budgeting, reserves and dues collection. Depending on the quality and age of the governing documents, they may or may not comply with current legal requirements. As a result, the best practice is to periodically consult a qualified attorney or current reference book to ensure that the group is complying with both its own documents and the applicable law. Keep in mind that a small fractional ownership group needs a properly prepared budget, including an accurate reserve calculation, as much (or more) than a large one, because a shortfall in funds will have much more immediate and drastic effects where there are fewer owners to absorb it. It is risky to assume that either you or the other owner(s) will always have the funds available to make up a shortfall or respond to a funding need. It is also worth noting that, even when the shared ownership functions well, not having reserves will make it less likely that interior elements will be regularly replaced or refurbished, with the result that the property becomes “tired” and less inviting. The bylaws, operating agreement, co-ownership agreement, CC&Rs, or other governing documents of the fractional ownership group should describe the actions that an owner, or the group as a whole, is permitted to take when another owner does not pay dues or assessments. The most common remedy is a process under which the non-paying owner’s interest is sold on the open market. The defaulting owner gets to keep any amount of the sale price left after paying costs of sale, mortgages, legal fees, and debts and penalties to the group. This forced sale process is usually non-judicial, meaning that the group does not need to go to court at any point during the sale process. The law of most places prohibits any remedy under which the non-paying owner automatically looses his/her ownership share and investment, and imposes restrictions on the forced sale process. What records should a fractional ownership association keep and what reports should it make to members? In some places, all or some fractional ownership groups (often depending on group size) are subject to legal requirements relating to some or all of these issues and, depending on the quality and age of the governing documents, they may or may not comply with current legal requirements. As a result, the best practice is to periodically consult a qualified attorney or current reference book to ensure that the shared ownership group is complying with both its own documents and the applicable law. Although a fractional owners group can bring legal action against an owner who violates its rules, this approach is often inefficient and ineffective. Legal action takes time, even when an alternative dispute resolution such as mediation or arbitration is used, and while the process is under way the rule violations tend to continue. Moreover, a court or arbitration order forcing an owner to do or not do something may not be obeyed, leading to further legal action (and frustration). A better approach is to impose monetary fines or penalties for rules violations. Fines and penalties deter violations by making the consequences seem more immediate and clear, and ease enforcement by converting the dispute from one about conduct to one about money. For this approach to work, the group must adopt a schedule in advance, and send a copy to each owner each time a fine or penalty is established or adjusted. For more general information on fractional ownership in general, please see my articles entitled Fractional Vacation Property FAQs and Shared Ownership Top 10 Issues. SirkinLaw APC has focused on real estate co-ownership since 1985, and has been involved in the creation of more than 5,000 co-ownership arrangements throughout the United States and the world. This breadth of experience allows us to draw on a huge library of fractional project documentation as well as extensive knowledge of marketing and registration requirements for virtually any location where a project might be located or potentially marketed. We pride ourselves on our ability to write legal documents in plain English, develop simple and elegant usage and organizational structures, and offer efficient, reliable and cost-effective services for fractional projects ranging in size from a single house or condominium up to hundreds of factional interests. 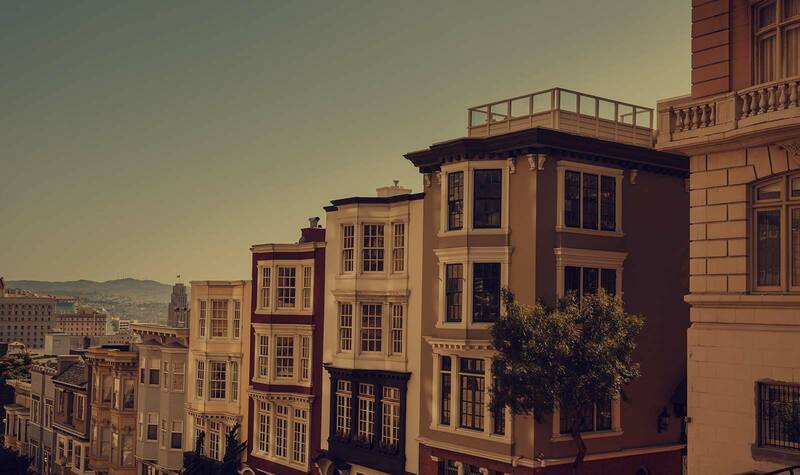 Our firm currently has offices in San Francisco California and Paris France. D. Andrew Sirkin is a recognized expert in fractional real estate ownership, residence and destination clubs, and other shared vacation home arrangements. Although his practice includes some large fractional real estate projects, he frequently advises and prepares contracts for small groups of families and friends who buy and share vacation homes as partners, and for fractional sales of individual vacation homes and condominiums. He has worked on homes all over the world, including most U.S. States, as well as Italy, France, Spain, Portugal, Ireland, Argentina, Nicaragua, Costa Rica, Panama, Dominican Republic, Nicaragua, Belize and Mexico. He is an accredited instructor with the California Department of Real Estate, the co-author of ten editions of The Condominium Bluebook, published by Piedmont Press, and the author of The Equity Sharing Manual, first published by John Wiley and Sons in November 1994. Andy can be contacted via our contact form.